President Kim tells me last Monday evening's meeting was well attended with plenty of fellowship and laughs about Christmas happenings. Several people have signed up for smaller name badges at a cost of $11. Stephen raised the issue that had been brought up in the recent RDU magazine about the need or otherwise for a printed bulletin. 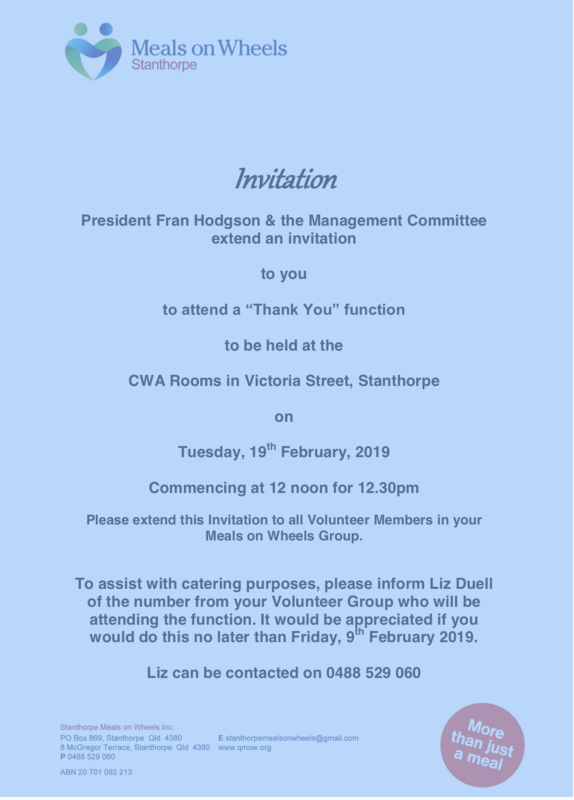 Kim would be interested to hear member's thoughts on this topic and a good time to bring this up might be at next Monday's meeting which is set down for committee meetings. Australia Day in the park catering is coming up on 26th Jan and Alec is keen to hear from volunteers for our barbecue stall. The Stanthorpe Show catering follows a week later and also needs volunteers. 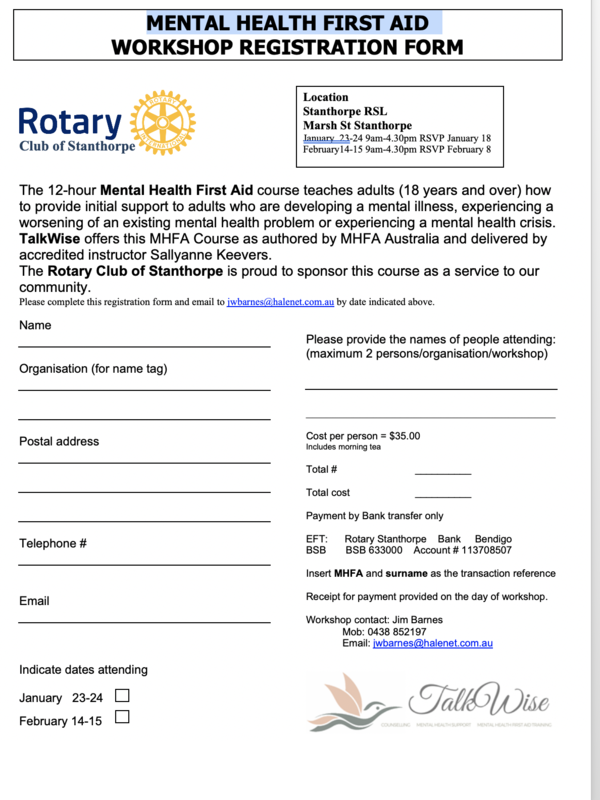 Please find below a registration form for the Mental Health workshops coming up soon. Please speak to Jim Barnes before registering to make sure there are places available on your preferred days. 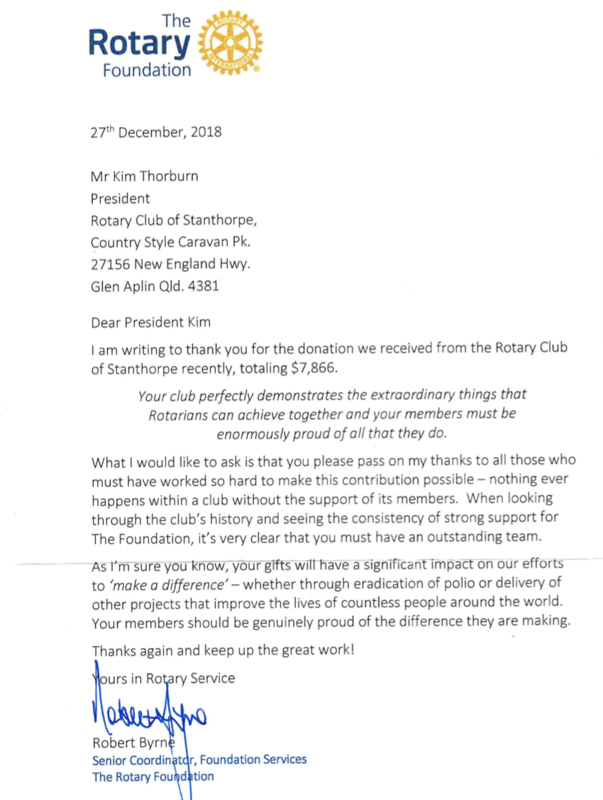 Also below is a thank you from the Rotary Foundation for our recent donation.